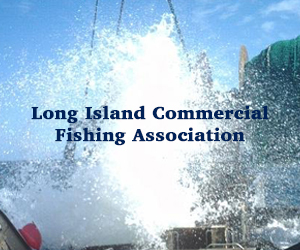 April 3, 2019 — Bills submitted to the Legislature by the governor would remove the ability of towns to keep their share of local fisheries business and landing taxes. For decades, the taxes have been split 50/50 with the state. More fish come through the Alaska fishing port of Dutch Harbor than anywhere else in the Nation. In fact, Dutch Harbor and Kodiak, Alaska, are the top two U.S. fishing ports in landed volume. These same two ports rank No. 2 and No. 3 in U.S. economic value. We collect biological, ecological, and environmental data during long-term, standardized research surveys, from fishing catches, and through other research activities. In the laboratory and in the field we study what fish and crabs eat, where they live, and how fast they grow. We input these data into sophisticated computer models to generate estimates of fish abundance (number of fish in the population), determine the potential impacts of environmental change, and recommend sustainable fishing limits. We also collect socio-economic data on fisheries and coastal communities, and other ecosystem data. Resource managers use this information to develop sound management measures ensuring healthy fisheries over the long term with ecological, economic, and socio-cultural benefits for the nation. 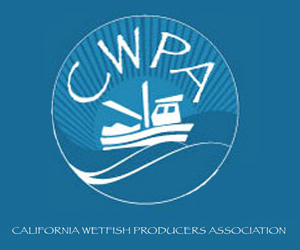 Our primary responsibility is to provide scientific data, analyses, and expert technical advice to marine resource managers (i.e., the NOAA Fisheries’ Alaska Regional Office, the North Pacific Fishery Management Council, the State of Alaska, the International Pacific Halibut Commission, and the Pacific Salmon Commission), Alaska tribal governments, public stakeholders, and U.S. representatives participating in international fishery and marine mammal negotiations. 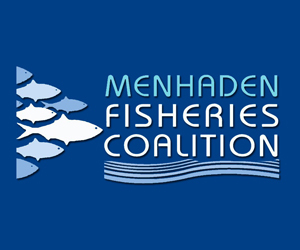 The work of monitoring and assessing fish, crab, and marine mammal populations, fisheries, and marine ecosystems is mandated by legislation, which includes the Magnuson-Stevens Fishery Conservation and Management Act, the Marine Mammal Protection Act, the U.S Endangered Species Act, and the National Environmental Policy Act. February 22, 2019 — Gov. Mike Dunleavy proposed legislation this week that would keep commercial fish tax revenue that has for years been shared with Alaska fishing communities in the state’s coffers instead, a move that mayors in some of those cities say would be devastating. At play are two taxes: Alaska’s fisheries business tax, and the fishery resource landing tax. 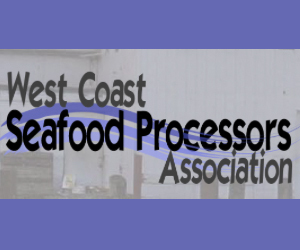 Dunleavy’s legislation would repeal the fisheries business tax allocation to municipalities and repeal revenue sharing for the fishery resource landing tax. Those shared funds go to local governments in communities where fish processing and landings occur. Under the proposed bill, about $28 million would stay in the state’s general fund in fiscal year 2020 instead of being shared with communities. Dunleavy’s plan to close a $1.6 billion state budget deficit includes deep cuts, especially in education and health care, and does not include new taxes. His proposed budget still needs to go through the Legislature. The fish taxes are crucial to many small Alaska fishing communities. The fisheries business tax is levied on fish caught commercially in Alaska waters, and is based on the price paid to commercial fishermen for the raw resource. The fishery resource landing tax is levied on fish caught commercially in federal waters and landed in Alaska, based on its unprocessed value. December 18, 2018 — Alaska is the nation’s superpower when it comes to seafood. American fishermen landed just shy of 10 billion pounds of fish and shellfish last year valued at $5.4 billion, both up slightly from 2016. Of that, Alaska accounted for 61 percent of total landings (6 billion pounds) and 33 percent of the value ($1.8 billion). 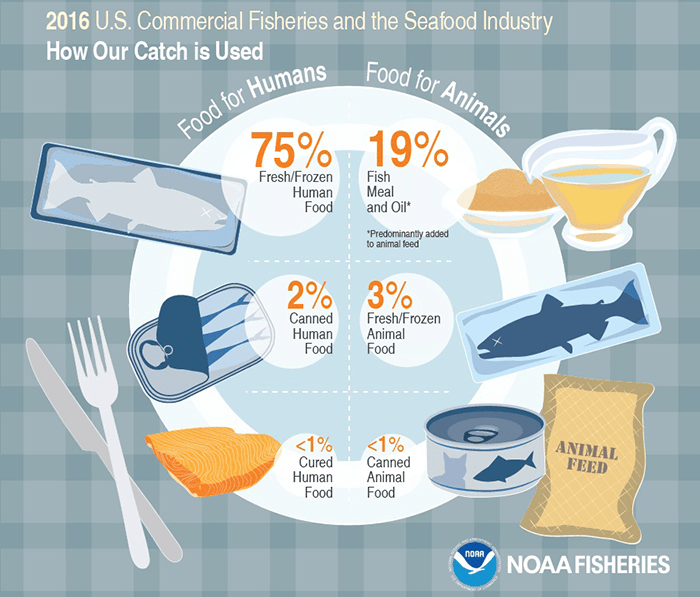 That’s according to the 2017 Fisheries of the US Report released by NOAA Fisheries, which covers all U.S. regions and species, recreational fishing, aquaculture, trade and more. The annual report also includes the top 50 U.S. ports for seafood landings and values, and once again, Alaska dominated the list. The Aleutian Islands ranked second for seafood landings thanks to Trident’s plant at Akutan, the nation’s largest seafood processing facility. Kodiak bumped up a notch from fourth to third place. The Alaska Peninsula ranked seventh, and Naknek came in at No. 9. Alaska ports rounding out the top 20 were Cordova, Sitka, Ketchikan and Petersburg. In all, 13 Alaskan fishing communities ranked among the top 50 list of U.S. ports for seafood landings. December 14, 2018 — NEW BEDFORD, Mass. — Death, taxes and New Bedford ranked as the most valuable fishing port in the country remain certainties in life. NOAA announced its annual fish landings data on Thursday for 2017, and for the 18th consecutive year the Port of New Bedford topped all others in terms of value. The port landed $389 million in 2017, more than $200 million more than Dutch Harbor, Alaska, which landed $173 million. The total increased by $62 million from last year when the port’s landings valued $327 million. 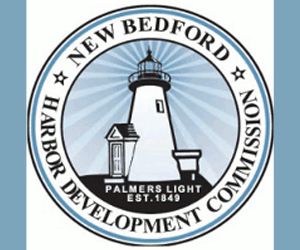 The gap between New Bedford and the second most valuable port increased over the year from $129 million to $216 million. April 2, 2018 — Unalaska is America’s fish capital. More seafood is hauled into Dutch Harbor than anywhere in the country, but for residents it’s not easy to find fresh fish unless they catch it themselves. At the local grocery stores even seafood caught in the Aleutians is exported before landing in freezer cases. But it’s getting a little easier to get locally caught seafood on the dinner table. It doesn’t happen often in Unalaska, but fishermen can sell their catch directly to customers. If you’re imagining a fish market, wipe away that image. Buying fresh seafood means going directly to a boat like Roger Rowland’s. On a weekday in January people like Rubi Warden are crowding onto the dock to pick out tanner crab. Warden and her daughter Pia are buying 48 crab. She’ll serve some of it to her parents when they visit from Hawaii. Local crab hasn’t been sold on the dock in two years. This is Rowland’s second time selling crab this season. The first time they took pre-orders, but today anyone can buy. It’s $12 a crab or 12 for $100. Selling fish off a boat doesn’t involve too much paperwork. The Alaska Department of Fish and Game requires a catcher seller permit to be completed along with a $25 processing fee. 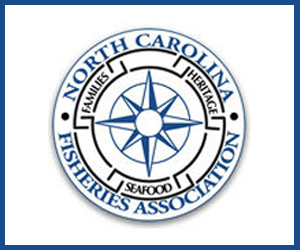 January 15, 2018 — State seafood marketers are rebranding fish parts as “specialty” products and mapping a path for millions more dollars in sales. Alaska’s fisheries produce more than 5 billion pounds of seafood each year. When all the fish is headed and gutted or filleted and all the crab legs are clustered, it leaves about 3 billion pounds of trimmings. Some is turned into meal and oil, but for the most part, the “gurry” is ground up and discharged into local waterways. A new Analyses of Specialty Alaska Seafood Products report compiled for the Alaska Seafood Marketing Institute takes a look at uses for fish heads, oil, meal, internal organs, crab products, roe, herring fillets, arrowtooth flounder, spiny dogfish and skates. It makes the point that Alaska’s combined seafood catches, valued at roughly $2 billion at the docks and twice that when processors sell to their buyers, could be worth an additional $700 million or more if so called “specialty” products were added to the mix. Take fish heads, for example. Alaska produces about 1 billion pounds of fish heads per year, which likely account for most of the processing waste, the report said. Just 1 percent is sold as frozen heads, although a single large salmon head can fetch up to $5 a pound at Beijing supermarkets, according to previous reports. Increasing the frozen market alone could add $100 million to processors’ sales, the report said. Commercial and recreational fisheries remain a strong contributor to the United States economy, according to the annual Fisheries of the United States report released today by NOAA. 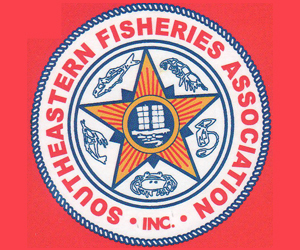 Saltwater recreational fishing remains one of America’s favorite pastimes and a key contributor to the national economy—with 9.6 million anglers making nearly 63 million trips in 2016, catching more than 371 million fish (61 percent of which are released alive), and in 2015, contributing $36 billion to the national economy. By weight, striped bass remains the top harvested catch among saltwater anglers, followed by dolphinfish, bluefish, yellowfin tuna, spotted seatrout, and summer flounder. Also in 2016, U.S. commercial fishermen landed 9.6 billion pounds of seafood (down 1.5 percent from 2015) valued at $5.3 billion (up 2.1 percent from 2015). The highest value commercial species were lobster ($723 million), crabs ($704 million), scallops ($488 million), shrimp ($483 million), salmon ($420 million), and Alaska walleye pollock ($417 million). By volume, the nation’s largest commercial fishery remains Alaska walleye pollock, which showed near record landings of 3.4 billion pounds (up 3 percent from 2015), representing 35 percent of total U.S. commercial and recreational seafood landings. In 2016, the U.S. imported 5.8 billion pounds of seafood (up 1 percent compared to 2015) worth $19.5 billion (up 3.5 percent). However, a significant portion of this imported seafood is caught by American fishermen, exported overseas for processing, and then reimported to the United States. Shrimp and salmon are two of the top three imported species and much of that is farm-raised. The U.S. ranks 16th in total aquaculture production around the world—far behind China, Indonesia and India. 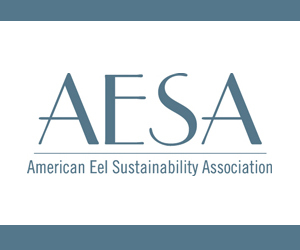 In 2015, 1.4 billion pounds of aquaculture production was reported in the U.S. The report also shows that the average American ate 14.9 pounds of fish and shellfish in 2016, a decrease from 15.5 pounds the year before. U.S. dietary guidelines recommend 8-12 ounces of a variety of seafood species per week, or 26 to 39 pounds per person per year. For the 20th consecutive year, the Alaskan port of Dutch Harbor led the nation in 2016 with the highest amount of seafood landed—770 million pounds, valued at $198 million. Walleye pollock accounted for 89 percent of that volume. Likewise, for the 17th year in a row, New Bedford, Massachusetts, claimed the highest value catch from one port—107 million pounds, valued at $327 million. Sea scallops accounted for 77 percent of that value. NOAA Fisheries will release a detailed look at economic impact of recreational and commercial fisheries on the U.S. economy in the upcoming Fisheries Economics of the United States report. View more facts and figures or read the report. August 17, 2017 — Fiasco. Disaster. Nightmare. These are words used by those involved with the floating processor Akutan to describe a fishing season gone terribly wrong. The Akutan, owned by Klawock Oceanside, Inc., was supposed to custom process up to 100,000 pounds of Bristol Bay salmon a day for a small fleet of fishermen under the banner Bristol Bay Seafoods, LLC. After July 25, it was bound for the Kuskokwim to give local fishermen their only salmon market. Nothing went right. The owners, the fishing fleet, the lender, and the crew have gone unpaid or lost big sums of money. Onboard the vessel sits 130,000 pounds of headed-and-gutted sockeye salmon, the only bounty other than the vessel itself that may eventually compensate the parties involved. The owners, fishermen, and other parties filed liens against that fish as the 180-foot floating processor Akutan and a skeleton crew limped out of the silty, shallow Nushagak Bay Sunday to seek repairs at a blue water port. After last season a group of about 15 Bristol Bay drift boat fishermen decided to again pursue their own market. These fishing families are members of an Old Believer community in Homer and are commonly, and not pejoratively, referred to as the “Russians” in Bristol Bay’s fleet. Skipper Kiril Basargin, a leader of this group, has been vocal about his frustration with the “mega corporate seafood buyers” that process 99 percent of Bristol Bay’s catch, faulting them for catch limits and low prices. In 2015 he brought his concerns to the state’s board of fisheries, telling them that Bristol Bay’s seafood companies promise “every year that they are going to keep up, and not holding there [sic] promises. Holding on, the commercial fisherman loses money every minute while they sit. We finally got tired of sitting and losing our seasons. The huge corporations control the markets and commercial fisherman. Finally in Bristol Bay in 2014 Wild Legacy Seafoods was born,” he wrote. What happened to Wild Legacy Seafoods is unclear. But ahead of the 2017 season, Basargin and others formed a new company, Bristol Bay Seafoods LLC, to be their own “buyer”. They hired Klawock Oceanside to be their processor. “And really they’ve lost their whole season to mismanagement and mis-operation of the F/V Akutan,” said William Earnhart, an attorney for the Bristol Bay Seafoods fishermen.